INXY – dedicated servers, CDN, cloud solutions: How to attract traffic with the help of your web-content? 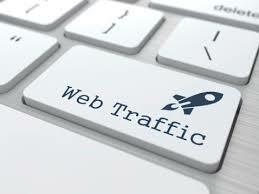 How to attract traffic with the help of your web-content? If you have launched an online project, but the number of visitors isn’t growing as fast as you expected, you should consider optimizing your web-site with the help of outstanding content. All in all, isn’t it what your visitors come for? Bare pieces of text won’t impress people. There are eight types of content that improves SEO, boosts traffic and helps to establish better contact with audience. 1. Infographics present information in compressed but very vivid way. They may contain contacts, offers, and statistics –literally everything. Make sure that your infographics are created by a professional designer. To attract more attention, use “gifographic” – an animated image. 2. Meme is a content that gives many visitors a real buzz: it touches burning issues and tells about the experience many people had making them laugh. Besides, memes are easy to create. But do not use them too often: abundance of memes may devaluate the image of your project. 3. Video is the basic type of content: it allows showing and explaining information so that people could understand and memorize it better. Start from a few clips, and look at visitors’ reaction. Note that if you are going to post many video, you should use a reliable and strong web-hosting solution (read about hosting solutions: https://inxyhost.com/blog/choosing-between-a-dedicated-server-and-hybrid-server ). 4. You have a lot of texts? Why not making them in the form of lists like “Top 10 methods…” or “8 shocking facts about…”? That attracts attention and makes reading simple and interesting. Besides, this is an easy task for writer because of its structure: introduction, the list and conclusion. 5. Discussions and reviews make for public outcry on your web-site: people like sharing their experience and opinions. Make a forum in the frames of your web-site, or allow users leaving comments to your articles, and they will communicate and surf your site eventually. 6. “How-to” is becoming a popular type of content today. Hire a copywriter who will create texts and instructions for your visitors, and don’t forget to add keywords and links. 7. Case study (explanation of how some certain product or service works and can help a user) is suitable in some certain niches and would be interesting for experienced and advanced users. You can promote products and services of your own brand, sincerely describing its pros and cons. 8. Interviews with leaders and authoritative people will improve the image of your web-site and attract customers’ attention. There are many other types of content available: try something new, or invent your own content. Make your site rich with various types of content, and you will boost traffic considerably.